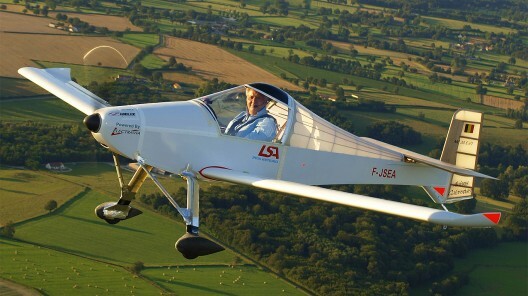 This little airplane is the fastest in its category in the world, unofficially. Flying from Koksijde, Belgium’s military airport, it clocked 189.87 kilometers per hour (117.7 mph) over a 15-kilometer straight-line course, a big improvement over its official speed record set on February 27 of this year. It also holds the official altitude and distance record in its class. Designed by Michel Colomban, one of the engineers for the Concorde, the MC-30 Luciole (Firefly) has a structure weighing only 98 pounds, ideal for adding heavy battery packs as part of its electrification. Its Lynch-type motor, controller and batteries were supplied by Anne Lavrand at Electravia, and have flown in the MC-30 for over a year. These are similar to the motors used in the MC-15 Cri-Cri that Hugues Duval flew at 175 mph down the main runway at Le Bourget during last year’s Paris Air Show. Jean-Luc Soullier, the pilot and founder of Luxembourg Spécial Aerotechnics, shared these pictures with the Federation Aeronautique Internationale (FAI) application and a graph showing the flight’s performance parameters. Once again, this type of record shows what dedicated amateur builders and experimenters can accomplish without vast outlays. Jean-Luc says he’s now going to concentrate on increasing the efficiency of the aircraft, something that will be of great interest at CAFE headquarters. Congratulations! Those engines are really successful. The company which makes those electric propulsion kits allows efficient realizations. I personally know an electric project which is going to fly with this Electravia engine in the US. We shall soon speak about it I hope! Could you send me some info as to the cost of this engine. 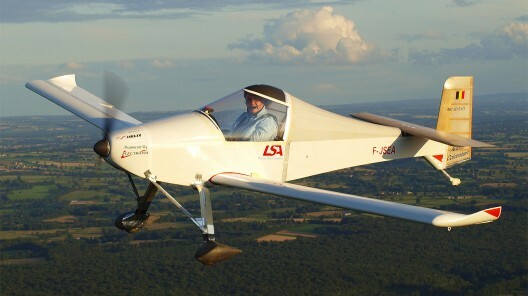 I’m in the process of making a light weight glider, and perhaps puting a small electric engine could be a good fit.